Which position would keep you warmer? The answer is probably intuitive to you. That’s why I love this image – it connects simplicity and intuition to a more complex topic: optimization. Optimization is an example of applied calculus. It sounds all fancy but it can be expressed simply. You want to optimize one thing (in other words, maximize something you want, or minimize something you don’t want), while keeping another thing constant (this is called a constraint). In this photo, I want to minimize surface area to keep warm. (Why will minimizing surface area keep me warm??) My constraint is my volume – I can’t change the size of my body. It stays constant no matter how I position myself. Ok, now imagine we’re no longer dealing with the human body. Take a piece of clay. What would you mold it into, in order to minimize surface area? How do you know you’ve succeeded? 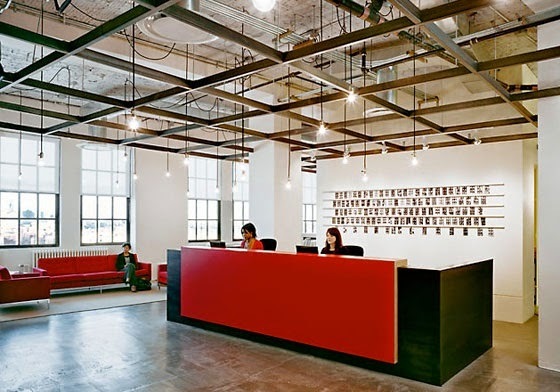 Exposed ceilings are really hip these days, creating an industrial warehouse feel in office spaces and restaurants. They don’t cover up the wiring and beams, so you can see what’s going on. How is this related to math? Now it’s easy to notice the 11’s and cancel them out. This is also useful when solving problems. Often you’ll be plugging in values and you’ll want to multiply them out into one big number. Resist this temptation. Don’t rush to plaster things over. 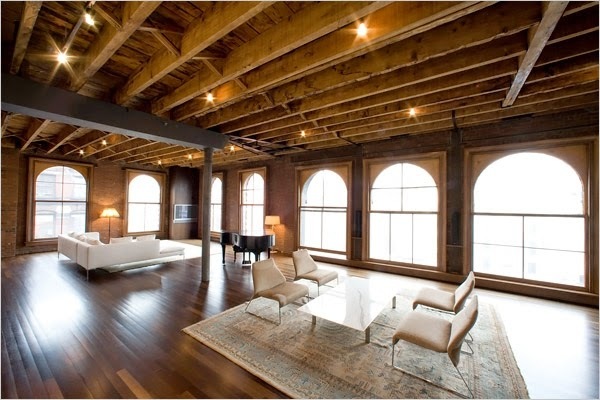 Show your exposed ceilings some love and they will love you back. Exposed ceilings enable you to see patterns that would otherwise be obscured. $2000 is invested in a savings account with 1% interest, compounded annually. How much is in the account after 5 years? After some thought, you decide that you need to repeat a process each year: write down the amount you had at the beginning of the year, and take 101% percent of it to find out how much you have at the end of the year. Taking 101% of a number is the same as multiplying it by 1.01. You were able to solve the problem, but no obvious formula popped out of this work. This time, don’t multiply anything out until the end. This is also a convenient approach if you don’t have a calculator. Not only did your exposed ceilings save you from boring extra calculations, they gave you a glimpse at the underlying structure, which enabled you to write a general formula. How would you adjust this formula for an annual interest rate of 3%? How about 0.95%? How about p%? Here’s the latest from my internet idol, Vi Hart. It’s an interactive post on math and game theory, that illustrates the effect of individual & collective bias in a culture. You could jump to the societal implications, or just have fun playing with the math and animations. Great for use in a classroom or a casual setting. This is fun. Terence Tao is a famous mathematician who won a Fields medal in 2006. He talks with Stephen Colbert about prime numbers and why mathematicians care about them. It’s similar reasoning to something you’ve probably done in your high school algebra class: if three things, when multiplied together, come out to zero, then at least one of them has to be equal to zero. then at least one of them (A, B, and/or C) must be zero. then at least one of them (A, B, and/or C) must be infinite. Cool to see the same type of logic that we apply to a basic algebra problem, being used at the forefront of mathematical research! So does this mean Sacramento and San Francisco are one mile apart? I took this picture on I-5, a highway that runs through the state of California, around 5pm. Another fun question: can you figure out (approximately) where was I along I-5? This is part of the subway stop at 59th street and Lexington Ave, in New York City. Estimate the slope of this escalator, by comparing the diagonal line to the grid of square tiles on the wall. (2) in real life, the staircase and adjacent escalator seemed *really steep. * Yet if you look at boxes, the slope is less than 1, ie the angle of elevation is less than 45 degrees (a slope of 1 would be 1 full box up for every box over). I remember in math class, I thought of a slope of 1 as kind of average. Not too flat, not too steep. But in the physical world it is pretty steep! I’m trying to think if I’ve ever seen a road, walkway, or ramp that actually had a slope of 1. I saw this combination lock at a Duane Reade. It has only four options: you move the knob up, down, left, or right. They advertise that it’s easier to operate, especially if you need to open it in the dark. However, it also seems easier for someone else to crack the code. Assuming a 4-step combination code, how many tries would it take a stranger–at most–to crack the code? (I didn’t read exactly how many steps the code is, I just blindly assumed it would be 4). Assuming it would take 5 seconds to try a given combination, how many minutes, at most, would it take someone to bust open your lock? You could also consider the following problem: suppose there is no fixed length of the combination. You can make any combination between 1 step long and 4 steps long. In that case, how many possible combos would exist? Also: see what happens if the combination is 5 steps long. Or 6 steps long. The number of possible combos is shooting up. Can you make a formula for the number of possible combos, if the combination is n steps long?